Drawbridge Designs has announced development of Wilmington International Airport (KILM) for X-Plane 10. Ramzzess has posted new previews and this promo video from the soon to be released Boeing 777-200LR for X-Plane 10. The Microsoft Flight Team has announced the upcoming Carbon Cub DLC aircraft package for Microsoft Flight. Virtavia is currently offering 50% discounts on all of their products. Sale ends July 27th 2012. SunSkyJet has released the long-awaited freeware Philadelphia International Airport (KPHL) scenery for FSX. SkyDesigners has released French Airbase 118 'Colonel Rozanoff' for FSX. Now available to purchase at SimMarket. - Photoreal ground textures, adjusted to fit perfectly with the default Fsx ground. - Static Airplanes with photoreal textures and with accurate squadrons markings and built number ! - 3d Lighting spots, taxiway signs. - Specific aprons and taxiways, Realistical AFCAD, based on actual MIAC maps. - Custom and accurate Buildings, with night textures, photorealistically textured. - Accurate representation of the several airbase zones such as scramble zones, base entry, Squadrons zones. Live the airbase as you were there ! - Dozens of custom objects such as radars, ground personel, ground vehicles, firefighters, bringing the scenery's immersion to it's highest level. - FPS Friendly developped scenery. The recently released Just Flight Douglas DC-6 Cargo Expansion Pack for FSX is now also available at SimMarket. Virtualcol has released the Comalapa International Airport (MSLP) scenery for FSX and FS2004 at SimMarket. - Terminal maintenance hangars inlcuding detailed company AEROMAN and American air base. Turbine Sound Studios (TSS) has released the Embraer ERJ-1XX HD Sound Package for FSX and FS2004. The recently released Carenado Beechcraft F33 Bonanza for FS2004 is now also available to purchase at SimMarket. Sim-Wings has posted the first El Hierro (GCHI) preview screenshots from the upcoming Canary X scenery for FSX. Sim Skunk Works has updated the McDonnell Douglas AV-8B Harrier II for FSX to V1.2.1. Details at the SSW Website. JohnO has released the freeware Orbost Airport (YORB) scenery for FSX. Available to download at the OZx Website. McPhat Studios has added more livery preview screenshots from the upcoming ATR 72-500 for X-Plane. Dino Cattaneo has posted the first draft version of the manual for the upcoming Lockheed Martin F-35 Lightning II V2.0. Orbx has posted numerous new preview screenshots from the upcoming FTX New Zealand North - NZNI Region. FlyJSim has posted a preview of the Weight and Balance Manager from the upcoming Boeing 727 Series for X-Plane. feelThere has announced development of the Philadelphia International Airport (KPHL) add-on for Tower! 2011. DH-Aircraft has posted this RAF VIP interior preview from the upcoming de Havilland DH 106 Comet for X-Plane. AivlaSoft has updated Electronic Flight Bag (EFB) to version 1.35. More information at the AivlaSoft Website. Aerosoft has posted this virtual cockpit screenshot from the Antonov An-2 currently under development for FSX. 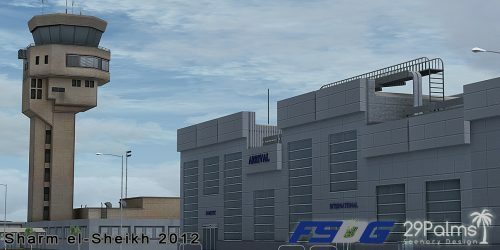 Aerosoft has posted first previews from the upcoming Sim-Wings Fairbanks Intl. Airport (PAFA) for FSX and FS2004. The Airport Guys have posted another teaser screenshot from the upcoming Virginia General Aviation Pack 1 for FSX. FranceVFR has posted more preview screenshots from the upcoming Languedoc-Roussillon Photo HD scenery for FSX. Pete Dowson has updated FSUIPC to version 4.84 for FSX & P3D, version 3.999r for FS2004 and WideFS to version 6.94. More information and download links on the FSUIPC Website. Return to Misty Moorings has added the freeware Ocean Falls, B.C. scenery addon to the Orbx Pacific Fjords region. The Project Airbus Team has posted two more Cathay Pacific previews from the Airbus A330 and A340 aircraft family. Urs Burkhardt has released the Westwood Inn, Klinaklini River Estuary scenery for FSX and Orbx FTX NA PNW. TruScenery has released the Hyvinkää Airfield (EFHV) scenery for X-Plane 10. Now available at SimMarket. Taburet has released the Venice Photorealistic scenery for X-Plane 10. Now available to purchase at SimMarket. Newport Scenery has released the PhotoReal Houston scenery for FSX. Now available to purchase at SimMarket. OrientalSim has released Tunis–Carthage International Airport (DTTA) for FSX. Now available at SimMarket. UK2000 is offering up to 40% off on their flight simulator sceneries during this year's Summer Sale.